The first thing I learned at piano school was how to find Do. It’s the first note, so you use the first finger to play Do. I pressed the key, and Do barely cried, ‘Do. . . .’ To remember the Do I’d just played, I pressed the key once more. Do, taken by surprise, made its ‘Do. . . .’ sound again and I watched the line its name drew as it travelled across the air. I sat frozen where a note had come and gone without a trace, stiff pinky raised. A dim afternoon light trickled in through the window covered over with sticky paper. 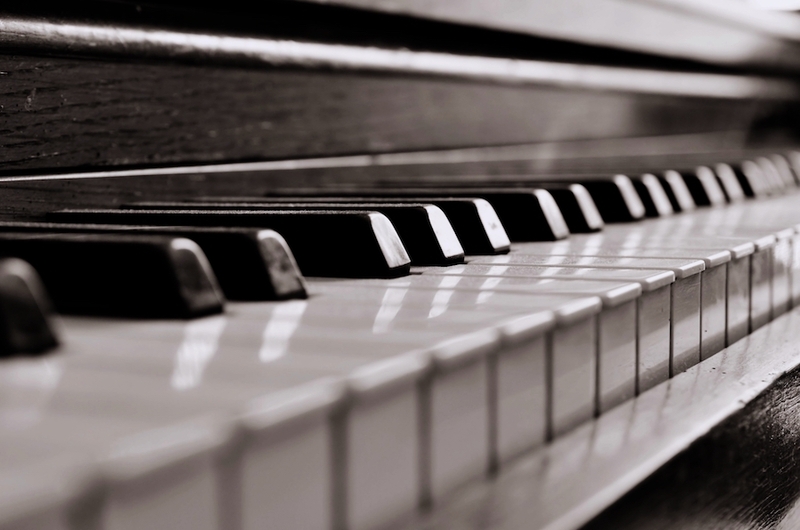 Silence ran between the piano and me, a girl who had touched a piano for the first time. Like uttering a carefully chosen word, I quietly said to myself, ‘Do....’ Placing my hand on the keyboard was deceptively challenging. I had been told to relax my hands and pretend I was gently wrapping my fingers around something, but I couldn’t imagine grasping something without using force. I practised Do-Re, Do-Re all day, using two fingers. It wasn’t until later that I discovered that if you press two keys at the same time, the lower note lasts longer. All the keys on the piano looked the same. They were either black or white, and had the same size and texture. I often forgot the position of Do. I wasn’t confident whether a key was Do – and not Re, or Fa, or Mi – until I touched the key. The Do in question was twenty-four fingers away from the farthest key to the left. Every time I got lost on the keyboard, I had to count the twenty-four keys back to the right position. All I could do, once I’d gone to the trouble of finding Do again, was to play it. I liked the sound this hunky, introverted instrument made, the resolute, comforting ring of ‘Do. . . .’ Re was right next to Do. Fortunately, Re was easy to find once I’d located Do. Mi was next to Re, and Fa was next to Mi, so it was important to find Do. Each practice room was named after a dead composer. I sat in the Beethoven Room and practised my scales: ‘Do-Re, Do-Re.’ I played ‘Do-Re-Mi’ in the Liszt Room and ‘Do-Re-Mi-Fa-So’ in the Handel Room. When I was playing with two fingers, I thought, ‘This is manageable.’ I found playing with three fingers an insult to my talent, and when I had to use five fingers, it was so difficult that I ran off, screaming. There was only one music school in our village. They also taught violin, flute, and public speaking, albeit not very well. Fortunately, no one signed up for flute or violin. The school would have advised against it anyway if anyone had dared to ask. The only child in town who could play the violin was the head teacher’s daughter. She would turn up at school recitals in her recital gown, complete with wings made of wire and lace, and play music that even primary-school audiences found insufferable. Listening to her mediocre performance, I was overcome for the first time with the urge to hit someone. Anyway, the child playing in the Handel Room was far from Handel, as whoever was playing in the Liszt Room was no Liszt. In any case, I had no idea who these composers were. When I got bored in the practice room, I imagined what expressions the notes would wear if they had faces. Re would eye you from the side, and So would be on tiptoe. Mi would be coy and, though Fa ranks lower than So, it is nonetheless outgoing. I grew accustomed to the five notes. I also began to understand that the sound comes from inside the piano when I hit a key; not from the key itself. High notes disappear more quickly, and each note has its own time. So when many notes come together to create music, the resulting phenomenon may be considered a congregation of many different times. The trouble began with La. Before I met La, I was wary of it. Playing five notes with five fingers was manageable and sensible. But how does one play six notes with five fingers? This encounter would be comparable to that of a man who has only ever known the quinary scale and discovers the duodenary scale for the first time. I wanted to know La, but I was afraid that associating with it would turn out to be too much trouble. I don’t like to be challenged. There are plenty of songs that only involve the five-note scale. I would have been perfectly happy playing just five notes for the rest of my life. I’m not sure how it occurred to my mother, the proprietor of a dumpling house, to have me learn the piano. It wasn’t forced on me in the form of blackmail or maternal ambitions. Mum’s education had been cut short, and the decisions she made regarding her daughters’ education always lacked confidence. She was probably following what was considered the norm. According to hearsay, there were certain things one had to do at a certain age, like going to theme parks and exhibitions. Although these trips were merely part of a generic childhood experience, I see in them my exhausted mother, an uneducated woman guided by hearsay, rolling kimbap and climbing on board tour buses holding her daughter’s hand. I can still see my mother, lying on a bench with her arm shielding her face from sunlight while I sat screaming with joy on the merry-go-round pony. Mum’s face as she took a short nap with her shoes off may or may not have been as calm and low as Do. My music teacher may or may not have been as surprised as La when she found me lying on the piano bench, mimicking my mother. That was a time when I thought, ‘Mummy, can I have a hundred won?’ was the most important task of the day. I played music in the Handel Room without Handel, and mother made dumplings like a deaf person, her short, permed hair a spitting image of Beethoven’s coiffure. The timing was perfect. Her dumplings were selling like hot cakes, and a music school had just opened in town.